Why Choose a SkyCap Loan? Loans As Easy As 1, 2, 3! Apply for a personal loan by filling out our very easy loan application. If you have any questions or need help, call us at 1-877-924-4557. When you submit the application, we will provide you with a quick status decision and the next steps. Once your loan application has been approved, we will ensure you get access to the cash as soon as possible. SkyCap Financial was founded in 2013 to provide alternative financing to Canadians. We recognize that people fall into financial situations that are out of their control and can impact their credit negatively. We want to open the door to you when others close it based on your credit history. 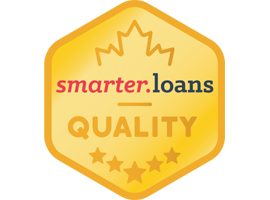 With our team of highly skilled and dedicated individuals, we strive to provide a better lending experience. SkyCap is the BEST in the business.